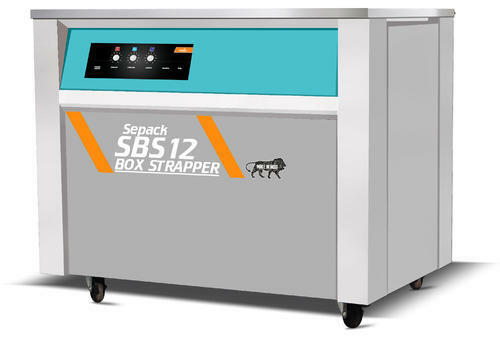 Heavy Duty Box Strapping Machine It is used for strapping secondary cartons, containers, wooden boxes etc. with PP / PE straps. Two models available viz. High Table model and Low Table model.